After becoming the nation’s busiest lung transplant program six years ago, the hospital scaled back the number and difficulty of transplants it performed. For some patients, that meant having to look elsewhere for treatment. This article was produced in collaboration with the Houston Chronicle. Godfrey “G.W.” Biscamp could barely breathe. After months of struggling with an inflammatory lung disease, his doctor told him he was in need of a transplant, and in 2013, he sent him to Houston Methodist. There was no better transplant program in the country for patients in need of new lungs, one physician told him. But by the time Biscamp arrived, the program had begun to change. Biscamp spent more than a year as a patient at Methodist, hoping for a lung transplant that never came. Instead, after numerous appointments and tests, he said doctors reversed themselves in early 2015, saying his condition was too perilous to risk a transplant. Biscamp did not realize that, behind the scenes, Methodist had been struggling with a high rate of failed lung transplants, or that the hospital had significantly scaled back the number and difficulty of transplants it was willing to perform. Those issues have never before been reported publicly. Biscamp, a 64-year-old former military test pilot, had the misfortune of needing a new set of lungs during a period of instability and change among Houston’s transplant hospitals. His four-year struggle for new lungs demonstrates the human consequences that can follow when a transplant program falters. And it shows the challenges facing patients with advanced organ failure while trying to decide where best to seek treatment. 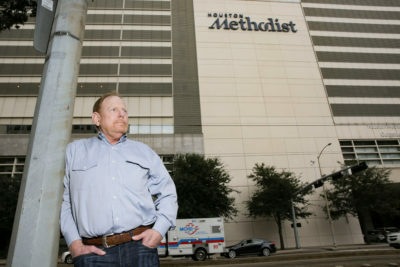 After leaving Methodist, Biscamp transferred to nearby Memorial Hermann, which was launching a new lung transplant program led by one of his former Methodist doctors. But after two years, Biscamp recalled doctors there telling him his case was too risky, again leaving him to seek care elsewhere. With his inflammatory lung disease worsening, Biscamp was expecting to be disappointed when he arrived at Baylor St. Luke’s Medical Center in early 2017, another Houston lung transplant program that has undergone significant changes in recent years. But doctors at St. Luke’s surprised him. Biscamp arrived at the hospital around the same time as its new lead lung transplant surgeon, and within a few months, he received a new set of lungs. More than a year later, he knows he’s fortunate to be alive. There was a reason Biscamp’s doctors initially sent him to Methodist. A year earlier, in 2012, the hospital performed a staggering 143 lung transplants, making it the busiest program in America. The hospital’s willingness to travel farther for donor lungs, to treat sicker patients and to attempt new and unconventional surgical techniques drew national media attention. But as the program was growing, so was its rate of poor outcomes. 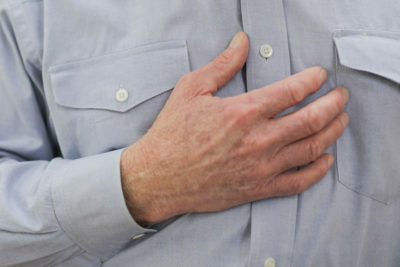 Between the beginning of 2012 and the middle of 2014, about a quarter the 289 patients who received new lungs at Methodist had their transplants fail in less than a year, a rate significantly higher than the national average and worse than expected based on its own patient and donor characteristics, according to data compiled and analyzed by the Scientific Registry of Transplant Recipients. Turning things around at Methodist meant hiring additional medical staff for the lung program, improving administrative oversight and — unfortunately for some patients — performing fewer high-risk transplants. “Even before these results came out, we had started our improvement efforts,” said Roberta Schwartz, Methodist’s executive vice president, emphasizing that the hospital’s lung outcomes have steadily improved since then and are now in line with national standards. Dr. Osama Gaber, a surgeon who oversees all of Methodist’s transplant programs, said he commissioned an extensive review of the lung program in 2013 and determined that doctors had been taking on too many high-risk cases, including patients over the age of 70 and those seeking a second or third lung transplant. Transplant outcomes are measured on a curve, taking into account dozens of patient and donor characteristics in an effort to ensure hospitals are not punished for treating sicker patients than their peers. That includes a patient’s age and whether they received a transplant previously. Some patients and family members who came to the Houston hospital for liver and lung transplants have complained about the quality of care provided. A St. Luke’s spokeswoman says the transplant programs still meet national benchmarks and argues against focusing on outcomes from a single calendar year. Nonetheless, the hospital reformed its patient selection standards and hired additional staff members beginning in 2013, Gaber said, and soon outcomes began to tick upward. By 2015, the year Biscamp was turned down for transplant, Methodist performed a total of 75 lung transplants, about half as many as in 2012, according to publicly reported data. Gaber said patient privacy rules prevented him from commenting on the reasons Biscamp was turned down for transplant. 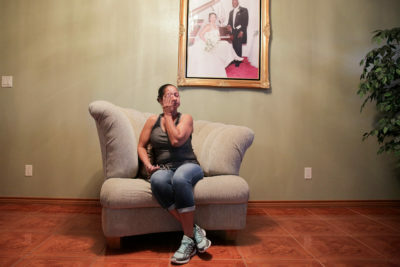 But, Gaber said, cases like his should be seen as a testament to the range of treatment options offered to patients at the Texas Medical Center in Houston. Gaber acknowledged that the hospital’s improvement efforts meant fewer patients received new lungs. He said that is a tragic consequence of the federal government’s requirement that transplant programs meet national benchmarks for one-year patient survival. “Every program that’s been flagged [by the government] shrinks,” Gaber said. Dr. Scott Scheinin, Methodist’s lead lung transplant surgeon until late 2017, disagreed with the notion that patient selection was the main cause of below-average lung outcomes. He noted that, even when the program was treating sicker patients, the hospital was achieving above-average one-month survival rates, indicating to him that the problems weren’t related to surgical outcomes, but with the care that followed. Scheinin said he does not believe Methodist had adequate medical staffing to care for the hospital’s huge population of lung recipients in the months following their transplants. 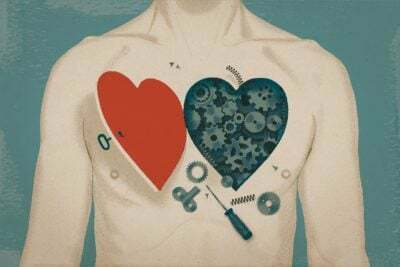 All organ recipients are given anti-rejection medications that suppress their immune systems, making them vulnerable to illnesses and death following transplant. When asked about Scheinin’s comments, Gaber said the hospital’s improvement efforts included hiring additional staff and strengthening post-transplant care. Although lung outcomes have gotten better in recent years, Gaber said he and his team are continuing to look for ways to make improvements. Mike Hixenbaugh is an investigative reporter at the Houston Chronicle. Email him at [email protected] and follow him on Twitter at @MikeHixenbaugh. Tell Us Your Story: Are you an employee, patient or a family member of a patient at the Texas Medical Center? We’d like to hear from you about your experience. Please fill out this confidential questionnaire.